Are your plumbing traps causing some frustration? 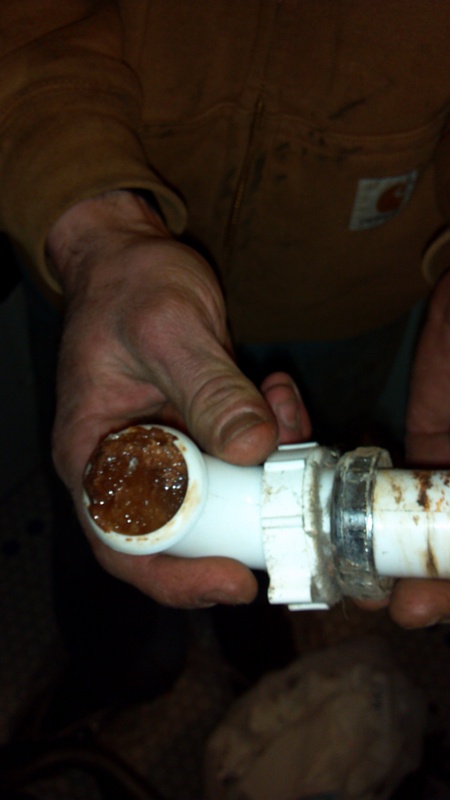 This customer tried pouring plumbing chemicals down their drain to try and unclog their pipes. We tell clients time and time again that no kind of chemicals should be poured down your plumbing pipes. Only harm will follow. Think about what this plumbing trap looks like, just imagine their entire pipe was full solid of hardened material. When undergoing a clogged drain your best bet is to hire a drain cleaning company. Leave plumbing and drain cleaning to the professionals. Ken’s Sewer Service provides plumbing and drain cleaning to all cities in the Minneapolis – St. Paul great metro area. Servicing 40 different suburbs within a 25 mile radius of Minneapolis – St. Paul Boarder. 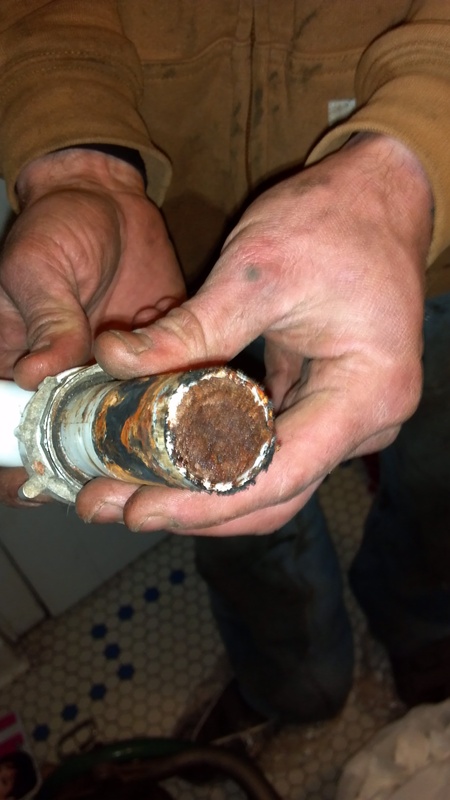 Don’t let your drain pipes get as bad as the picture shown above and hire a plumber to come into your home once a year to perform routine maintenance. Ken’s Sewer Service can’t wait to hear from you!